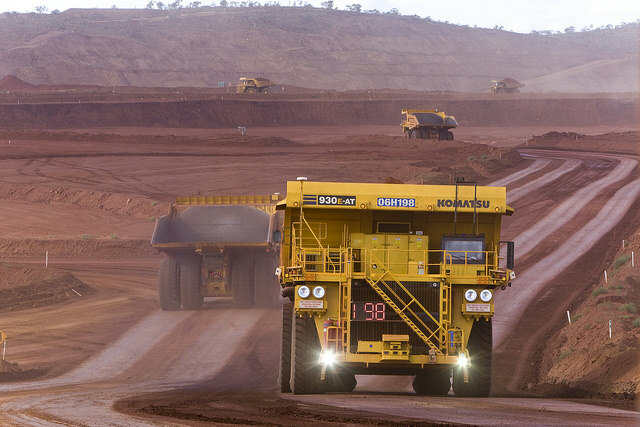 Rio Tinto sells its stake in Rössing Uranium to Chinese miner up for $106.5 million. The Global miner Rio Tinto says it sold its entire stake in Rössing Uranium to China National Uranium Corporation for up to $106.5m. The sale of the 68.62% stake in Rössing Uranium, which owns the Rössing mine in Namibia, ends a period of extensive strategic assessment, the miner said in a statement on Monday. “The sale of our interest in Rössing once again demonstrates our commitment to strengthening our portfolio and focusing on our core assets,” Rio Tinto CEO Jean-Sébastien Jacques said. The deal is subject to certain conditions, including approval by the Namibian Competition Commission. The Rössing Uranium mine is located 12 kilometres from the town of Arandis, 70km inland from the coastal town of Swakopmund in Namibia's Erongo region. Under a binding agreement Rio Tinto announced today, the total consideration comprises an initial cash payment of USD6.5 million, payable at completion, and a contingent payment of up to USD100 million following completion linked to uranium spot prices and Rössing's net income during the next seven calendar years. Its chief executive, J-S Jacques, said Rio Tinto was focused on strengthening its portfolio and focusing on its core assets. "Rio Tinto has a long history in Namibia and I would like to thank the many people across Rio Tinto and the communities in which we operate who have contributed to the success of Rössing. I wish them continued success under new ownership. Rio Tinto will work closely with CNUC to ensure a smooth transition and ongoing sustainable operation at Rössing," he said. Rössing, the world's longest-running opencast uranium mine, has been in operation since 1976. It has a nameplate capacity of 4500 tonnes U3O8 per year. Its 2017 production was 4,652,000 pounds U3O8 (1789 tU) of which Rio Tinto's share was 3,192,000 pounds. 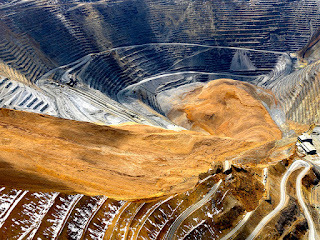 By the end of last year, the mine had supplied a total of 132,610 tonnes U3O8 to the world. Rio Tinto is the majority owner of Rössing Uranium Limited. The Namibian government has a 3% shareholding but, the government has a ''big say'' in terms of decision making and voting rights. The Iranian Foreign Investment Company (IFIC) is a passive legacy investor in Rössing Uranium, holding a 15% stake that goes back to the early 1970s in the financing of the mine. The Industrial Development Corporation of South Africa (Shiva Uranium) owns 10%, while local individual shareholders own a combined 3%. The Chinese company China National Nuclear Corporation (CNNC) that owns the Geology & Mining Department has 25 % stake in Namibia's Langer Heinrich uranium mine, currently under care-and-maintenance. Subject to conditions, including merger approval from the Namibian Competition Commission, the transaction is expected to be completed in the first half of next year. The strategic Gateway to Southern African under development at the Port of Walvis Bay. 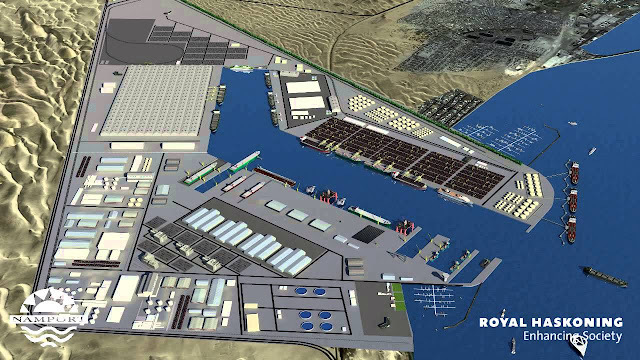 State-owned logistics firm Road Motor Services (RMS) says its dry land port project at Walvis Bay in Namibia is now 70% complete after gone through four years extensive development to build it. RMS, a subsidiary of the National Railways of Zimbabwe (NRZ), is spearheading the construction of the port in partnership with the Walvis Bay Corridor Group (WBCG), a Public Private Partnership (PPP), that was established in the year 2000 as a service and facilitation centre to promote the benefits of using the Walvis Bay corridors through the Port of Walvis Bay to link the Southern African region. The development project is done in the collaboration with the Namibian Port Authority. In September 2009, the Namibian government granted Zimbabwe 19 000 square metres of land to construct a dry port, seen as critical to boost the landlocked southern African country's trade. The work on the project started in 2014; Zimbabwe's trade volumes through the port of Walvis Bay have grown significantly over the years to more than 2 500 tonnes a month. Chairperson of the Parliamentary Portfolio Committee on Transport and Infrastructural Development, Daniel Garwe said in a report presented last week at the 2018 pre-budget seminar in Bulawayo that the project was now 70% complete. The Namibian port project taking shape, which currently under construction in Walvis Bay. "The committee was informed that the Road Motor Services has secured land on lease for 50 years to construct a dry land port at Walvis Bay in Namibia and the project is 70% complete," Garwe said. "The committee welcomes the dryland port at Walvis Bay in Namibia. However, there is a need to consider value for money on infrastructure investment and the lease timeframe prescribed (50 years)." The committee also recommended that the NRZ should continue to identify possible public-private partnerships as the government was pushing through the strategy of selling off or closing down loss-making parastatals. In the 2018 budget, NRZ was allocated $15 million divided into traction and rolling stock ($9,4 million), signalling and telecommunication ($1, 9 million), electrical, works and buildings ($450 000) and tracks ($3, 3 million). The committee noted that although $9 million had been budgeted for the establishment of a control tower at Joshua Mqabuko Nkomo Airport, the committee felt that the allocation was insufficient. The project has the potential to open up, a strategic gateway to the sea for Zimbabwe. Trade for Zimbabwe via Walvis Bay has increased in previous years and a large percentage of raw materials have been transported along this corridor. Zimbabwe is the volume of trade through the port of Walvis Bay have increased significantly, by about 2 500 tons per month and Walvis Bay corridor serves as a real alternative to link Zimbabwe to Europe, North America as well as South America. Zimbabwe already had challenges, payments to the WBCG, (the company responsible for the construction of the port) and operations had to be stopped pending distance from some outstanding charges. 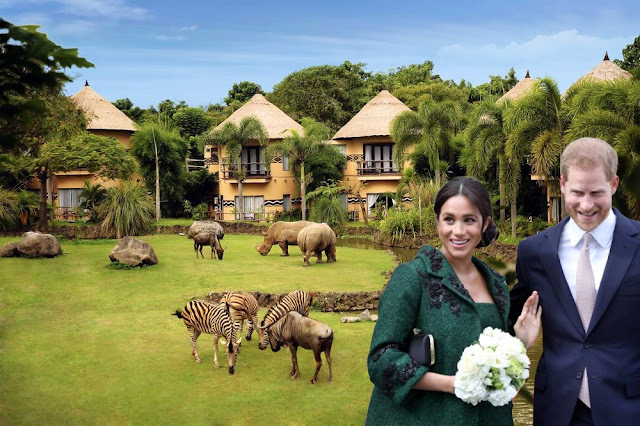 There are also two other ways in the hallways that the Trans Kalahari or Trans Caprivi corridors. Both corridors are currently road-based, but the proposed new Trans Kalahari Railway from Botswana to Namibia is likely to be linked to Bulawayo. Botswana also linked partnerships Zimbabwe and Mozambique, which for the shorter project linking the area with Mozambique for the construction of a new deepwater port in southern Mozambique and a rail system, Botswana, Zimbabwe and Mozambique. 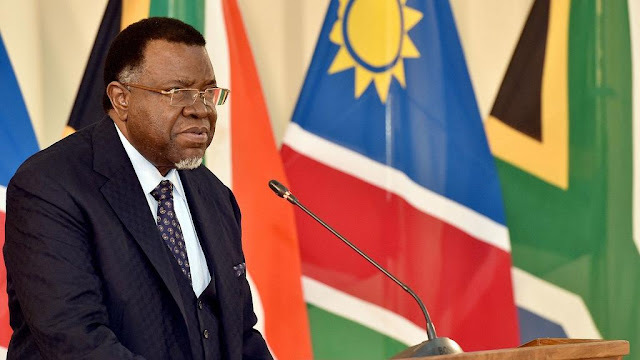 Ter's first deal with Namibia should link trade through Botswana with South Africa in the south, Namibia in the west, Zambia and Angola to the north-west and Zimbabwe in the north, making it a first-class network for the Southern African Development Community region. Botswana's dealings with Zimbabwe and Mozambique will be 400 kilometres shorter, costing $2 billion less than the one with Namibia. Canadian company extracting Lithium along Damara Belt at the mine site next to Karibib. Desert Lion Energy Company is a Canadian based mining exploration firm which has offices at 65 Queen Street West, Toronto in Canada and Lazarett House Offices at Lazarett Street in Windhoek, Namibia. The company announced the report on the results of the Company's Preliminary Economic Assessment (PEA) for its Namibian Lithium project. The PEA covers mining activities, costs, concentrate and lithium carbonate production. The PEA was prepared by independent consultants, Hatch Ltd, and the MSA Group (Pty) Ltd, that prove the veracity and good prosperity of Lithium mining in Namibia. The company holds an 80% interest in the project, within its exclusive prospecting license (EPL), which covers 301km2 (EPL 5439) in the southern central zone of the Damara Belt and consists of three past producing mines. The mine site is located approximately 20 km from the town of Karibib and some 220 km from the Port of Walvis Bay that connected via the national highway and state-owned railway. The company has already begun conducting production test of lithium concentrate from stockpiled material in last year, December 2017. The plans to commence a full production of lithium concentrate from in situ ore (i.e. Phase II production), which is expected to begin at the end of 2019. Cash cost of lithium carbonate of US$4 080/t and lepidolite (lithium) concentrate of $141/t, in each case including by-product credits. Initial direct capital costs of $275 million for mine, concentrator and lithium carbonate conversion plant, including by-product circuits (including a contingency of $43 million (15%)). Low capital intensity for lithium carbonate of $13 750/annual tonne of production of battery grade lithium carbonate. $144 million pre-tax NPV (8% discount rate). 29% pre-tax internal rate of return. The payback period of ~2.5 years. Tim Johnston, CEO of Desert Lion Energy comments, "We are very pleased with the results of the preliminary economic assessment which confirm management's belief in the benefits associated with the project's at or near surface mineralization, proximity to high quality existing infrastructure and the low-cost operating environment in Namibia.” “The PEA demonstrates the compelling economics of the project, highlighted by low capital costs, low operating costs, and high earnings. The vertically integrated plant encompasses the development of a mine, concentrator and lithium carbonate plant capable of producing 20 000 tpa of battery grade lithium carbonate. By-products include 35 250 t of petalite concentrate per year and 290 t of tantalum concentrate per year. The development plan will continue to be assessed during the next stage of work to be completed by the company which is planned to include further exploration results and an assessment of the lithium market conditions. The number of isotopes (atoms of the same element with a different number of neutrons): 10; 2 stable. 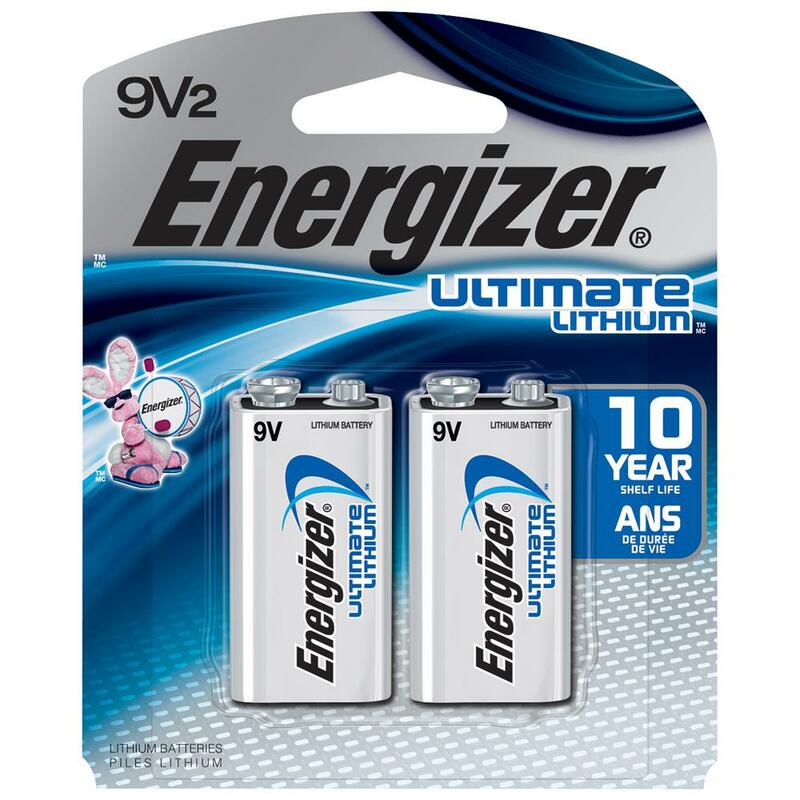 This rare mineral is extracted from petalite, Lithium has a number of important and interesting uses. In recent years, it has been used to make lightweight and very efficient batteries like Duracell and aircraft, ship parts and other important industrial materials. The President is on move to restrategize Mining Industry and review exploration licenses. Namibia government has scrapped a requirement for companies seeking mining exploration licences to be partly owned and managed by black Namibians. The Mines and Energy Minister Tom Alweendo revealed this on Friday. 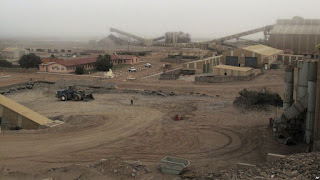 Diamond mine facilities in Oranjemund, Namibia. The Namibian government started giving preferential treatment to black-owned companies in 2006, but eventually, that was not deemed enough. The government then announced in 2015 that it had introduced additional conditions on mineral licenses holders to reserve a minimum of 5% participation in all licenses to Namibians and 20% of previously disadvantaged Namibians to be part of management structures of the mining industry, through what we called Black Economic Empowerment (BEE) to push indigenous people and accelerate their entrepreneurship in some of the country’s most lucrative business projects, but critics said it threatened the diamond and uranium producer’s ability to attract investment. Viewing this decision made by lawmakers in the contrast that the BEE in its manifestation has failed to redress inequalities; but rather accelerate corruption and benefited only a few wealthy Namibians who are politically well connected and favoured on the expenses of the masses. Comrade Hilifa Mbako, the chamber’s vice president, said the decision “was the most important fundamental decision for future investment into Namibia.'' Mbako said the requirements and uncertainties created by the planned New Equitable Economic Empowerment Framework (NEEEF), a regulation intended to force white-owned businesses to sell 25 per cent stake to blacks, had hit investor confidence in Namibia. Our objective is to grow the mining sector where it can continue to meaningfully contribute to our socio-economic development. This can only happen when more minerals are discovered and it is important that we make the progress of mineral discovery as effective as possible. The Namibia Statistics Agency said the mining sector contributed 125 to Namibia's gross domestic product (GDP) in 2017. The sector employed around 16,900 people last year, or 2.5% of the workforce. Airbus A319-112 V5-ANM and Namibian Airports Company services at the Runway. Airport was the scene of high drama when strong winds sent a runaway train of luggage trolleys hurtling towards a stationary plane at high speed - and the dramatic incident was caught on video. Namibia Airport narrowly avoided a serious accident when a train of four luggage trolleys was sent flying at high speed towards a stationary plane. A viral video of the dramatic incident shows airport workers at Hosea Kutako International Airport desperately trying to run after the trolleys and stop them crashing into the aircraft. The train’s material covers can be seen flapping in the strong winds as the official attempts to push against the first trolley. A Namibian Airports Company (NAC) spokesperson, Dan Kamati, confirmed the incident occurred on Sunday. "No injuries or damage to persons or property was reported and investigations continue,” he told the daily newspaper. 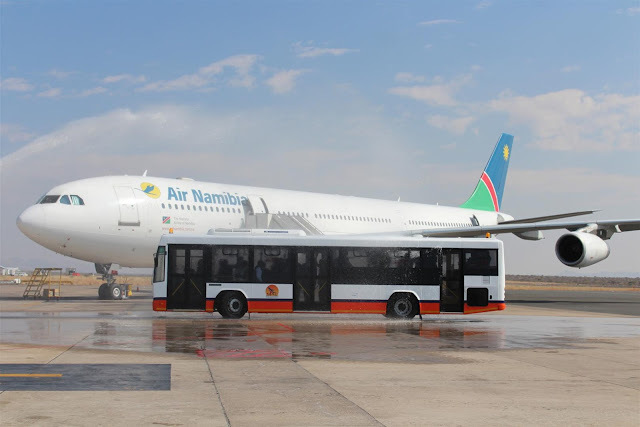 According to a Facebook post of the video by The Namibian, authorities “are trying to establish whether the Air Namibia plane was parked, or planning to take off, and whether the plane had just landed, or if it had moved to avoid a collision with the trolleys.” Kamati did not reveal what had caused the trolleys to be let loose but said it would be investigated. The Chariot Oil & Gas Limited has announced a disappointing result about oil exploration offshore Namibia, which this drags the country into uncertainty future. The Moroccan based company has an employment force drawn from Namibian cheap labours, technicians and qualified engineers like Robert Mwanachilenga, a Country Manager. The company owned about 65% chunks of the mining project, Azinam with 20%, NAMCOR 10% and Ignitus 5%. Chariot Oil & Gas Limited is an independent exploration group heavily invested by top Namibian elites and politicians. 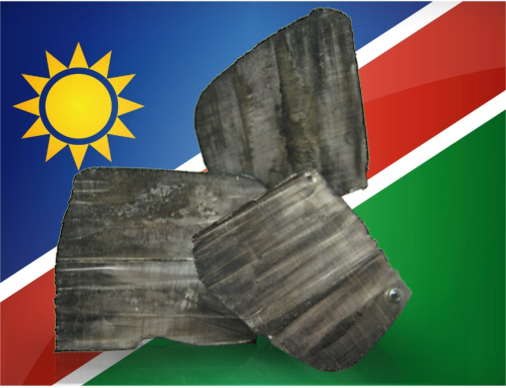 In 2013 the company was awarded special exploring licences that cover two blocks in Namibia. It already got three blocks in Morocco and four blocks in the Barreirinhas Basin offshore Brazil. All of these blocks are currently in the exploration phase include Namibia, which led into an unfeasible predicament. 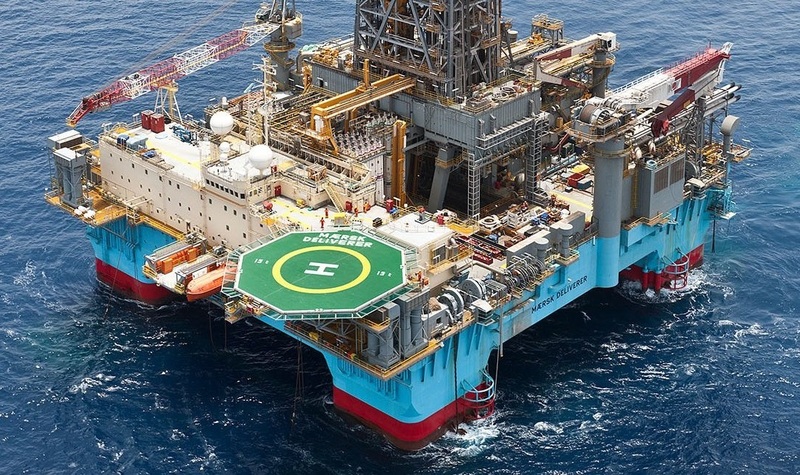 In the official report stated that the well has been safely drilled to a total MD of 4,165 m to test the stacked targets in the oceanic dredging below the sea bottom. The well has been successfully penetrated to anticipate turbidite reservoir sands, in line with the pre-drill prognosis, however, the reservoirs were water-bearing. The data collected in the unsatisfactory exploration will be used to calibrate the existing datasets to understand the implications of the results. The well, which was operated by Chariot and drilled by the Ocean Rig Poseidon drillship, will be unplugged and abandoned. Larry Bottomley, the CEO of the company, said: “Whilst very disappointing that we have not established a hydrocarbon accumulation in the prospect, we have learnt valuable information about the reservoir potential of these turbidite systems which form the primary targets across many of the prospects within the Central Blocks portfolio. In another separate case Tullow Oil, a company specialized in oil exploring in deep-water. Tullow awarded with exploring right, the Petroleum Exploration License 37 (“PEL 37”) from the Ministry of Mines and Energy to mine an area of 17,295 square km in the Walvis Basin located about 420 kilometres south of the Angolan-Namibian border. The company got 35% equity and joined some partnership with ONGC Videsh (30%), Pancontinental Oil & Gas (30%) and Paragon Investment (5%). However, all the mining activities have ceased for good. The international oil and gas firms, such as Tullow and Repsol halt all operations: Ji-Elle. HRT President Joe Paulbeen and Katti present oil discovered off Walvis Bay after a 60-day drilling operation which cost N$810 million. This is not the first time, Namibian elites luring international investors in the country through their innocuous projects and business investment futile which have no any tangible benefit to the economy of the state; besides the government oftentimes pouring a hefty amount of capital for initial investment into infeasible schemes like Kudu Gas and other projects which create no positive productivity. People make their quick bucks while the host state suffers in bail out its parastatals (SOEs) like e.g. National Petroleum Corporation of Namibia (NAMCOR)where the government have spent N$260 million in 2010 settling debts using taxpayers' money to help fund the bankrupt, state-owned-oil conglomerate, which was supposed to generate more income for the state. In 2015 the HRT which now called PetroRio has closed shop when it failed to find commercial oil in Namibia. Despite the event was anticipated by the jubilation of the elites include Knowledge Katti who dragged President Hage into the fantasy. 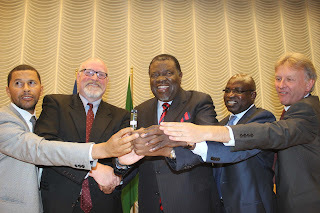 The short-lived joy and the announcement of oil discovery in Namibia at State House's function attended by many other senior government officials include Founding Father Dr Sam Nujoma. It was really a big joy when the news was made in 2013 which overwhelmed the attention of the people and international media, but at the end, we have seen investors pulling plugs off and companies packed and go, leaving behind an economic bubble for the state to clean its own mess. The scheme has actual enriched the initial owners who jumped ship later leaving Namibian dry when newly employed Namibians seen themselves in the streets. PetroRio was the second largest Namibian exploration licence holder with 10 oil blocks off the Namibian coast. 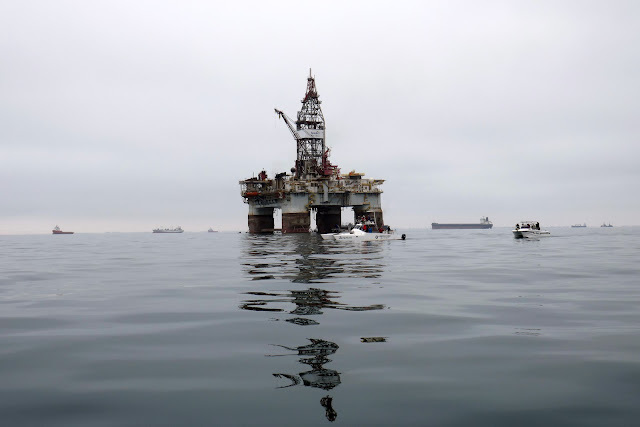 It has roped in prominent politicians and businesspeople in its deals but it could not discover any oil with commercial values among its three failed drills. An oil-platform of the deep sea exploration for oil and energy at Namibian offshore. Tullow, with the remaining 35 per cent Participating Interest, will continue to remain the operator of the License. Other partners in the block include Pancontinental Namibia (Pty) Limited with 30 per cent Participating interest and Paragon Oil and Gas (Pty) Limited with 5 per cent Participating interest. “The completion of the present transaction marks ONGC Videsh entry in Namibian offshore and is consistent with its strategic objective of adding high impact exploration and production assets to its existing Exploration and Production (E&P) portfolio,” OVL said. After this acquisition, ONGC Videsh now operates 39 projects in 18 countries including Azerbaijan, Bangladesh, Brazil, Colombia, Kazakhstan, Mozambique, Myanmar, Russia, South Sudan, Sudan, Venezuela, Vietnam and New Zealand. OVL currently produces around 267,000 barrels of oil and oil equivalent gas per day and has total oil and gas reserves (2P) of around 704 million tonne of oil equivalent (MMTOE) as on 1t April, 2017. Offshore diamond mining is a relatively lucrative science. The process has been refined by diamond producer Debmarine Namibia, which is a joint venture between DeBeers and the government of Namibia. Angelo Coppola spent some time on board one of their vessels 40 kilometers off the Namibian coast.Debmarine Namibia (Pty) Limited is owned wholly by Namdeb Holdings (Pty) Ltd, which itself is a 50/50 joint venture between the Government of the Republic of Namibia and De Beers Centenary AG. The company mines off the south west coast of Namibia in the Atlantic occean. Debmarine Namibia have five mining vessels that actively operating in Namibia's waters. The vessels are mv Debmar Atlantic, mv Debmar Pacific, mv !Gariep, mv. Peace in Africa and mv Grand Banks. Today, Debmarine Namibia accounts for more than half the total diamond production in Namibia. Offshore deposits are estimated to be 80 million carats. Mining takes place on the ocean floor at water depths ranging from 70 to 140 meters. End Note: About 89 per cent interest in an energy,resources and gas petroleum exploration in Namibian Offshore Mining is owned by foreign conglomerates and multinatinational cartels. That enjoying government lapsed policy and used Namibian cheap labors as a grotesque of getting a greenlight (mining recessions) and leaping an enormous profit at the end...The deficiency that exists within Namibian domestic economy and an inadequant of local spending has always garner the state into a vicious bankruptcy. This kind of economical mayhem is largerly cascaded due to the variability that exist in state's policy, to nationalize or to equalize its domestic earning vice verse to the profits made by multinationals.